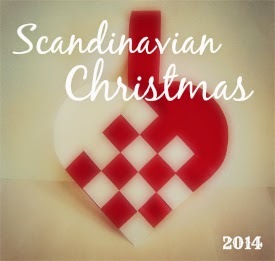 Hello and welcome to the very first day of Scandinavian Christmas!!! If you're new to the series, let me explain. 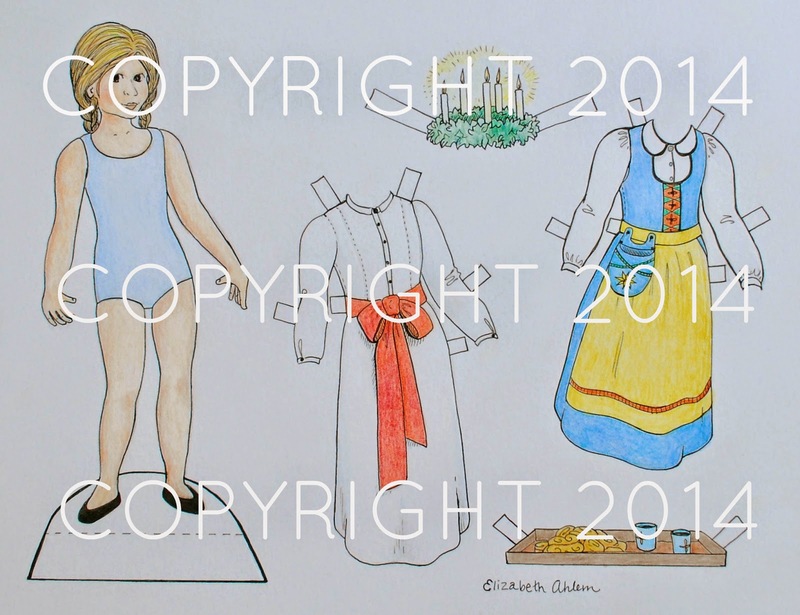 Each year, kicking off on St. Lucia day (today! ), I invite various bloggers/friends/relatives to do a guest post here at the Pickled Herring that highlights a fun Scandinavian Christmas tradition, craft, or recipe. I'm so excited about this year's series and hope you enjoy all the posts as much as I do! Let's get started! Today I will be sharing a fun craft tutorial to get the series started. Then tomorrow be sure to come back to hear from one of my favorite bloggers out in blogland, Pam! They are so cute and simple, and pretty fun to make too. They make an ordinary bottle of wine festive and fun to give away as a gift! First, sew your tomte hat. Fold a piece of felt in half and sew a line across in a triangle, mine was about two inches across at the bottom. Trim and turn inside out. Try it on for size on your bottle. Get the nose ready. If you needle felt, use a small piece of pink or flesh roving to make a small ball. Alternatively, you can use a small wooden bead or whatever you'd like that looks nose-like. 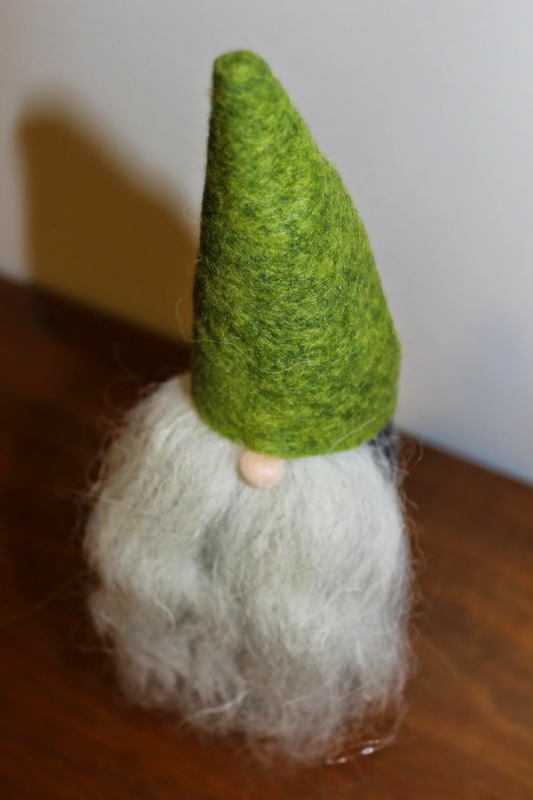 Break off a 3-4 inch piece of roving, depending on how full and long you'd like your tomte beard to be. Load up the roving with hot glue - you want a lot on there. Secure firmly to the hat on the inside. Optional: glue another piece of felt over the inner section of the tomte beard. I do this part if the beard is especially full, just to ensure it stays glued onto the hat section. Add the nose with hot glue. Decorate your glögg and wine bottles and skål! And here is a glimpse of the cutest Viking Santa around! Ryan was my hero at the craft fair last weekend and wore this amazing Viking Santa costume to help draw traffic to the booth. It sure worked - he was a huge hit! Happy Santa Lucia Day! the wine toppers are adorable. Looking forward to following along with you this year. God Jul. Happy St. Lucy Day! So excited to see what everyone will be sharing. 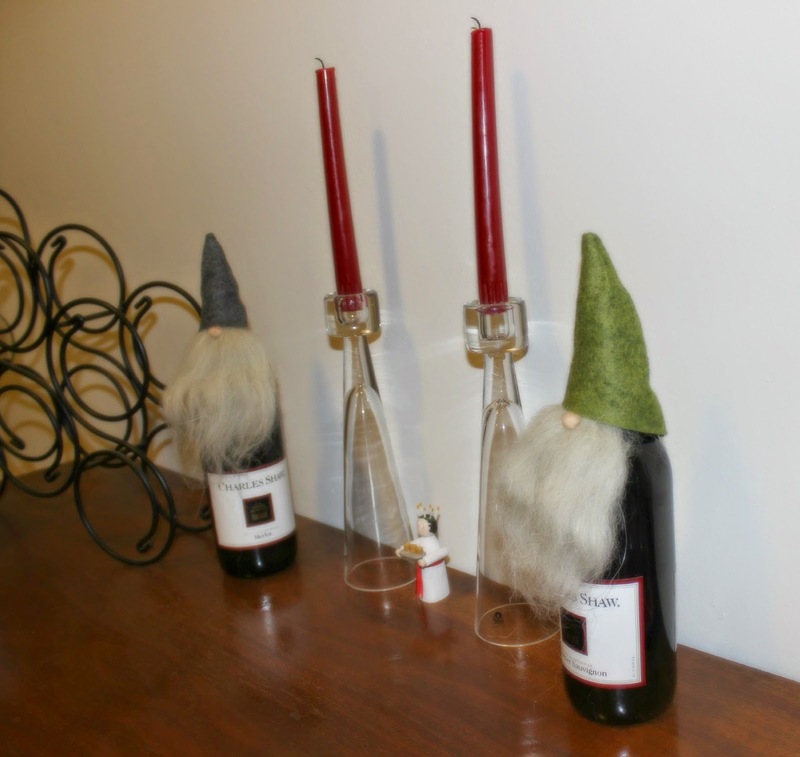 Love, love, love the tomte wine stoppers. Brilliant! Oh my, those tomte wine toppers are amazing. What a great idea! But your very own Viking Santa? Priceless!